US president Donald Trump is to back existing sanctions on Russia, but is still making up his mind on a climate change pact, a senior aide said at the G7 summit in Italy. 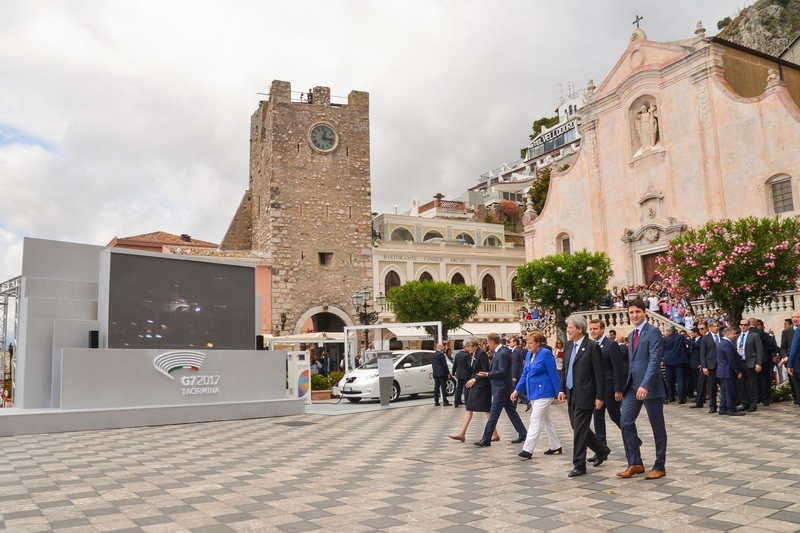 Gary Cohn, Trump’s economic adviser, shed light on the president’s thinking as the leaders of the Group of Seven (G7) wealthy nations - Canada, France, Germany, Italy, Japan, the UK, and the US - met in Sicily on Friday (26 May). “We're not lowering our sanctions on Russia. If anything we would look to get tougher on Russia”, Cohn told press. “The president wants to keep the sanctions in place and I think the president has made it clear how the Russians could have the sanctions lifted”, he said, referring to a ceasefire deal that tied the sanctions to Russia’s withdrawal from east Ukraine. Cohn had said earlier in the week: “I think the president is looking at it [sanctions]. Right now, we don’t have a position”, but he added on Friday that that had been misleading. “I should have just been much clearer”, he said. The head of the European Council, Donald Tusk, also said in Italy on Friday that he expected the US to keep the sanctions in place, even though he and Trump had different opinions of Russian leader Vladimir Putin. "My impression is that when it comes to the conflict in Ukraine we are more or less on the same line as president Trump. Of course. I am maybe less optimistic when it comes to president Putin's plans and intentions. I'm less sentimental,” Tusk said. 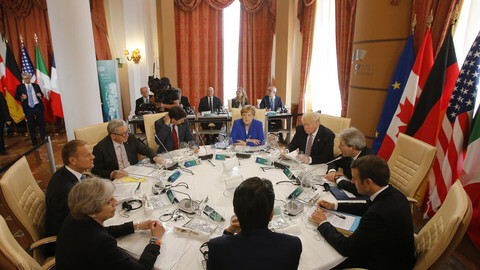 The G7 leaders were planning to sign a communique on Saturday that would outline their joint position on issues including climate change, trade, migration, Russia, and terrorism. The G7 event comes after Trump caused upset at Nato and EU meetings in Brussels on Thursday. He defied expectation byrefusing to pledge allegiance to Nato mutual defence and he told EU officials that Germany was “very bad” because it was selling too many cars in the US. Trump also declined to say in Italy whether he would honour a previous US commitment to the Paris Agreement on slowing climate change. German chancellor Angela Merkel told press that the six other leaders had tried to persuade him to stay on board in what she called “very intense” talks. “We made it clear that we want the US to stick to its commitments. There were very different arguments from us all urging the president to hold to the climate accord”, she said. 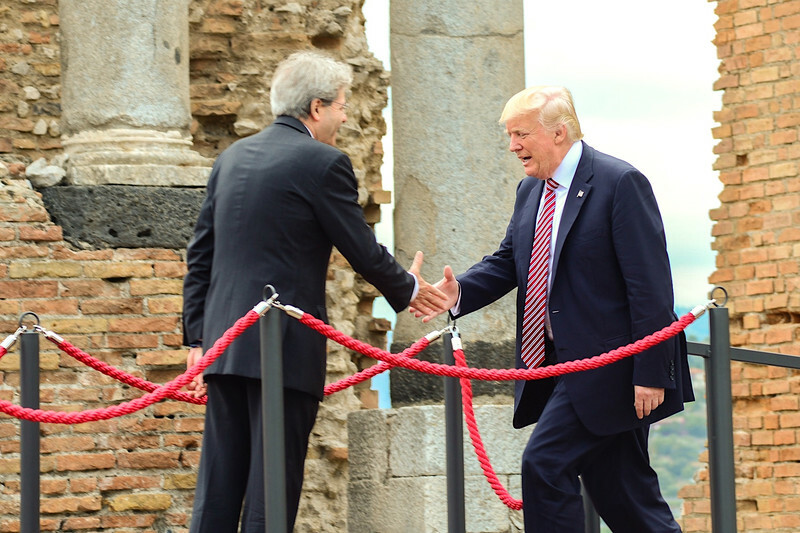 Italian leader Paolo Gentiloni said: “President Trump will take time to reflect on it … The question of the Paris climate accord is still hanging”. Cohn, the Trump aide, said Trump’s views were “evolving” and that he felt “more knowledgeable on the topic” after the G7 talks. Trump had previously said he thought climate change did not really exist, but Cohn said the president’s current concern was how to protect US jobs while cutting emissions. European Commission head Jean-Claude Juncker tried to soothe the atmosphere on trade. He told reporters that German media reports of Trump’s mauling of German trade were due to a mistranslation. “This is a real translation [issue]. If someone is saying the Germans are bad that doesn’t mean this can be translated literally. 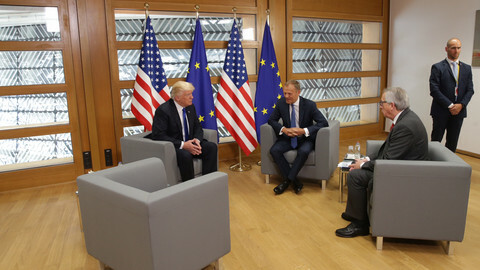 He [Trump] was not aggressive at all”, Juncker said. The Trump adviser also rowed back slightly. “He [Trump] said they're very bad on trade, but he doesn't have a problem with Germany," Cohn said in Sicily. 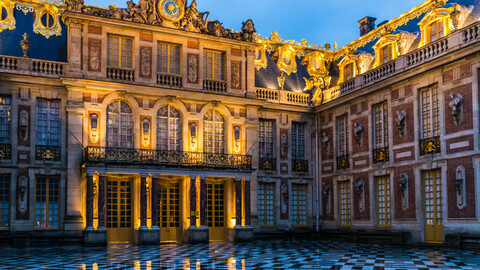 The discord on climate meant that just six of the G7 nations might sign a special statement on the Paris Agreement on Saturday. The wider discord on trade, but also on migration, meant that the G7 communique was likely to be shorter than originally planned. Italy had wanted to include text that described migration as a global responsibility and spoke of the need to improve food security in Africa. It chose Sicily as a symbolic location for the summit because many African migrants tried to reach the EU from Libya via Sicily. The US wanted a shorter statement that focused on border security and on encouraging migrants to stay at home, however. A draft of the G7 communique obtained by DPA, the German press agency, on Friday endorsed the US line. “We reaffirm the sovereign rights of states to control their own borders and set clear limits on net migration levels, as key elements of their national security and economic well-being”, it said. It also spoke of the “need to support refugees as close to their home countries as possible”. The G7 leaders had fewer problems in calling on social media firms to crack down on radical content that encouraged terrorist crimes. They said on Friday, following the Manchester attack in the UK last week, that internet firms must "substantially increase their efforts to address terrorist content". "We encourage industry to act urgently in developing and sharing new technology and tools to improve the automatic detection of content promoting incitement to violence”, they said. 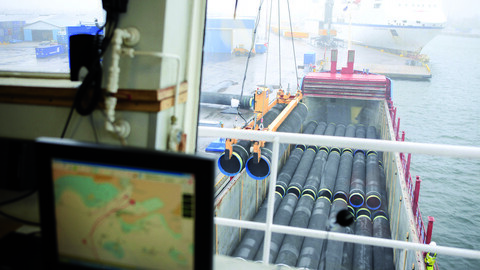 The European Commission said the EU and US would work on a common "action plan" relating to trade. 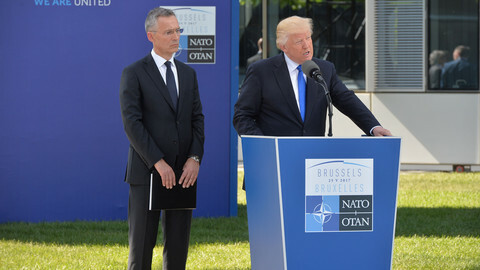 Nato chief Stoltenberg defended Trump’s behaviour at Thursday’s summit. The prime minister of Montenegro also apologised for him. 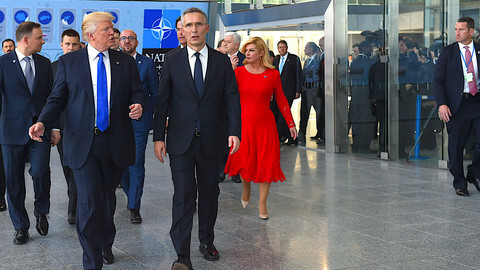 Trump voiced half-hearted support for Nato and reprimanded allies over what he called unpaid debts on his maiden trip to Europe. The German chancellor said Europe must take its fate into its own hands in the era of Brexit and Trump, in a speech aimed at rallying support in Germany for her re-election. New French leader to tell Russian president that he wants political solutions in Ukraine and Syria, but EU sanctions are to stay in place.